Please note that the default password is Doodle123. You can always change it later. Do you permit us to fill out a profile for you by researching information available online? Do we have your permission to supplement your profile by obtaining information from your website or other sources? Do you give us permission to create a profile for you on DoodleNet? Would you be interested in upgrading your profile to prominently feature it on our site for a small fee once we implement this feature? Is it ok for us to add you to our mailing list? Do you have any suggestions to help us make the site better? Here you can upload up to five pictures. 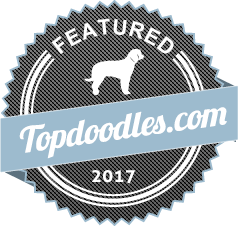 Do we have your permission to select pictures from your website for placement on TopDoodles? 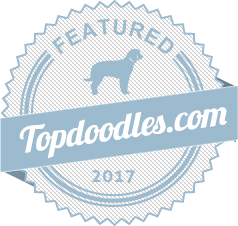 Once your profile is listed on Topdoodles.com, you may place badges linking to your profile on your website or social media sites. Just right-click on the badge and save it to your computer to be used as you desire.